Worried about your pooch being out in the cold? Make sure he is protected from the chill. 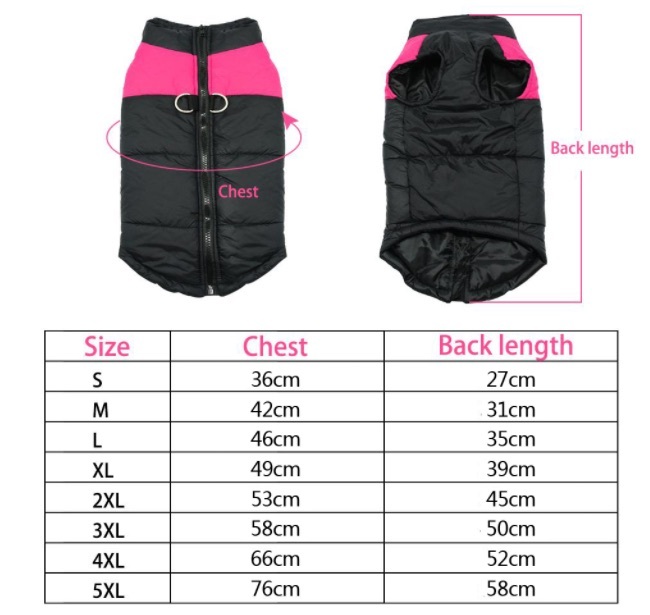 Buy this Waterproof Warm Winter Jacket for Dogs and save your pet from the elements. The coat is made of quilted padded puffer, this dog jacket for the winter season will save your pet from snow and ice. No second thoughts on keeping your doggie warm this winter! Buy Now! Feature: Waterproof, Quilted Padded Puffer, With Zipper, Warm, Fashionable. Please make sure you measure your pet before ordering the appropriate size. No refund/replacement will be possible after the product has been delivered.